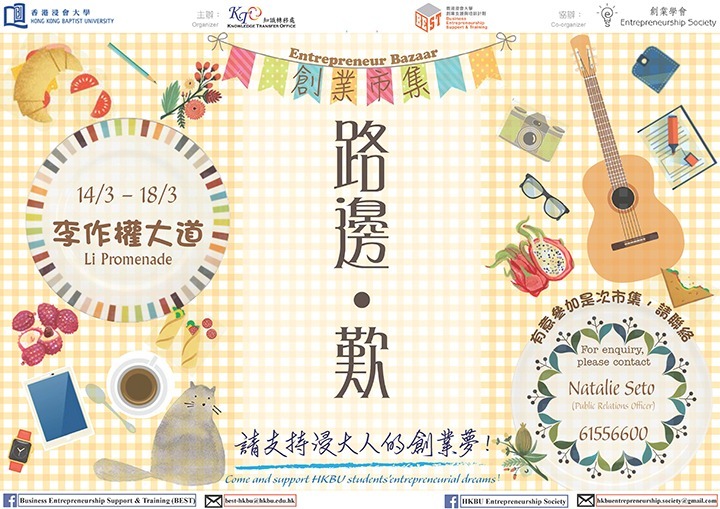 Come and support HKBU students' entrepreneurial dreams! Entrepreneur Bazaar, organized by HKBU KTO and co-organized by Entrepreneurship Society, is the first bazaar which is fully run by HKBU students. Different stalls will be selling their DIY products, please enjoy the shopping on 14 - 18 March 2016!